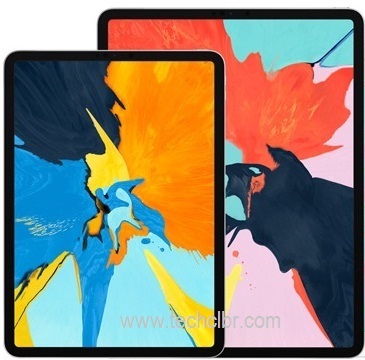 Apple has launched the latest iPad Pro 2018 with two different sizes, one is 11 inches and the other one is 12.9 inches. These devices launched along with the latest MacBook Air and Mac Mini, in October 2018. You may have some questions on the latest iPad Pro Tab which we would like to let you know its detail herein below. You may ask other queries related to this gadget in case if you are unable to find them here. What type of Processor in Apple's iPad Pro 2018 has? What's the operating system of iPad Pro? What's the RAM size in iPad Pro? What's the internal storage (ROM) in iPad Pro? What is the display sizes in iPad Pro? How about camera pixel in iPad Pro? How about connectivity in iPad Pro? What is the version of Bluetooth in iPad Pro? Is there security features in the gadget? How many Colors of the iPad Pro in the latest one? Is there Adapter in it? Is there location and GPS etc.? How about sensors detail in iPad Pro? What's the Weight of the device? Is there Pen or Pencil for it? What is the price of iPad Pro 2018? iPad Pro 11" starts at $799 for 64GB. It also comes with 256GB, 512GB and 1TB. iPad Pro 12.9" starts at $999 for 64GB. It also comes with 256GB, 512GB and 1TB. Tips: One of the best Tab PC that can be used as mini-computer or mini-laptop as well by using external keypad.